All content provided on The Novice Trekker is for informational purposes only. I will not be liable for any errors or omissions in this information and accept no responsibility for any damages or losses arising in connection with the use of this website. Links directing to third-party websites are used for informational purposes only and serve as a resource for the reader. I do not accept responsibility for the content of these sites or liability from use of them. Regardless of any financial compensation, all opinions expressed are my own. Any paid promotion or advertising of a product, service, or experience will be clearly disclosed to my readers. I reserve the right to edit or delete any comments submitted to this blog without notice and am not liable for any comments made by others on this site. I reserve the right to express honest opinions about sponsored products and reviews. Unpaid marketing requests and sponsorships will likely be ignored. I agree to deliver all content agreed upon in a professional and timely manner. I will not falsely represent or inflate the online statistics of The Novice Trekker. I am a participant in the Pisig Ad Network, Zalora PH and Travel Book Affiliate Program, designed to provide a means for me to earn fees by linking to offers at Zalora PH, Travel Book and other affiliated sites. 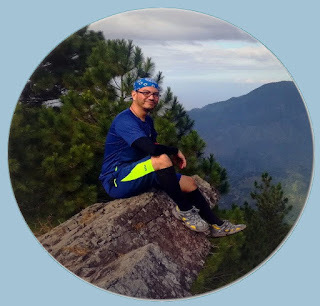 All intellectual property on The Novice Trekker is owned by Lorenz Belledo, including written work, photography, and video, unless otherwise stated. All work on the site is protected by copyright law and may not be copied, reproduced, or modified without written consent by Lorenz Belledo.